Is the Poodle (Standard) right for you? Find your perfect match now! Poodles are some of America's favorite dogs. Their name comes from the German word for “puddle” — they were originally bred as water retrievers. That traditional puffy styling was meant to keep their joints warmer while they were fetching their prey from the water. These days, Poodles are more likely to be companions than hunters, however. Because they don't produce much dander and shed infrequently, Poodles have been crossbred to create more kinds of dogs that are less aggravating to allergy sufferers. These include the Cockapoo (Cocker Spaniel + Poodle), the Labradoodle (Labrador Retriever + Poodle), and the Whoodle (Wheaten Terrier + Poodle). Originally from Central Europe and Germany, this medium-sized and medium-energy breed can grow to between 40-70 pounds and lives an average of 10-18 years. The breed is recognized by the American Kennel Club and classified as a member of the Non-Sporting group. 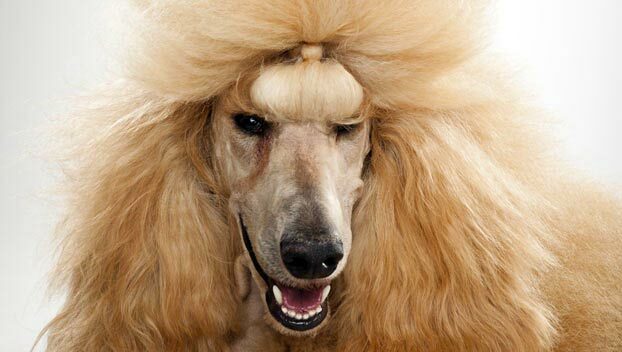 WHAT IS A STANDARD POODLE'S PERSONALITY LIKE? Poodles are a proud, elegant, and dignified breed. But don't be fooled by their fancy features — these dogs are devoted to their chosen people, and want to be an important part of your family. They're great with supervised kids and play well with other supervised dogs. 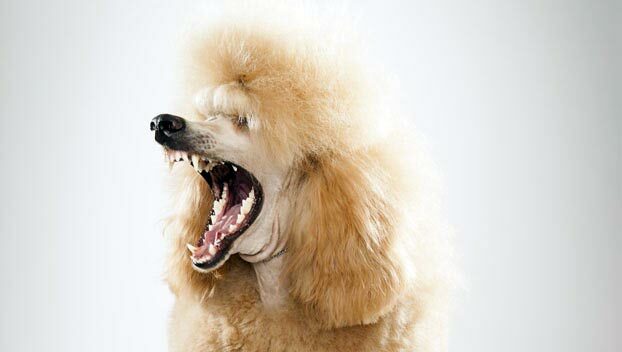 WHAT IS STANDARD POODLE BEHAVIOR LIKE? This is a very active breed. Poodles love to run, walk, or swim — preferably with you by their side. These dogs want to be on the go. HOW EASY IS IT TO TRAIN A STANDARD POODLE? This breed is very amenable to training. Poodles are extremely intelligent and eager to please. Their smarts and amenability make them ideal candidates for social therapy, seeing eye, and service work. These dogs excel in obedience, agility, hunting, and tracking. HOW MUCH DO STANDARD POODLES SHED AND WHAT ARE THEIR GROOMING NEEDS? 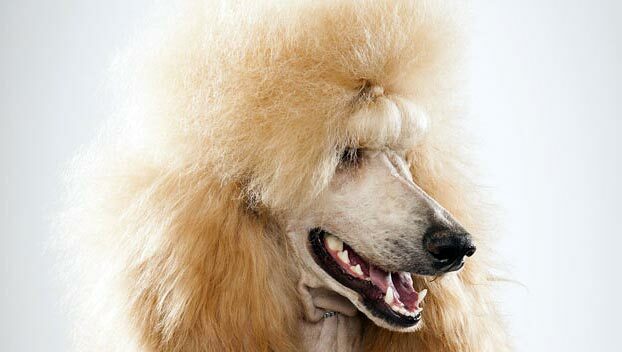 A Standard Poodle's hair doesn't shed much. If you bring a Poodle home though, you're going to be very good friends with your dog groomer. This breed requires clipping at least every other month. You'll also spend a lot of time brushing her hair to prevent mats and tangles. WHAT HEALTH PROBLEMS DO STANDARD POODLES HAVE? 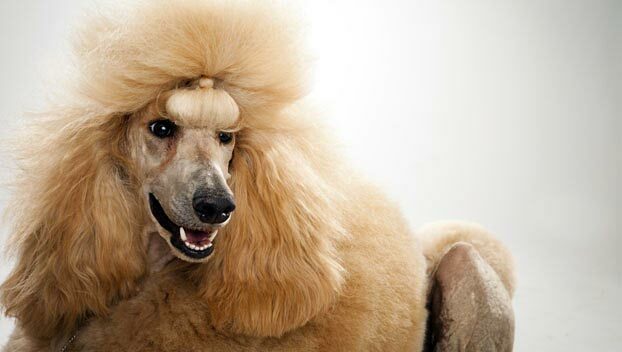 As a breed, Poodles are generally healthy. Some are prone to eye ailments, hip dysplasia, epilepsy, skin disease, blood clotting disorders, and thyroid or adrenal gland issues. Unlike their Toy or Miniature cousins, Standard Poodles are particularly prone to bloat, a condition that requires immediate attention from your veterinarian. Familiarize yourself with the symptoms of gastric dilatation volvulus (GDV) and contact your vet at once if you suspect your dog might be suffering from this ailment. Some Standard Poodles are also susceptible to autoimmune disorders. ARE STANDARD POODLES GOOD FOR PEOPLE WITH ALLERGIES? The American Kennel Club lists Standard Poodles among its breeds recommended for allergy sufferers. 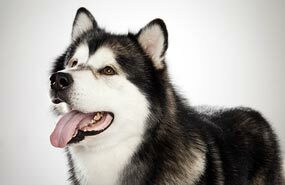 This breed sheds infrequently and predictably, and produces less dander than most dogs. You can reduce your furry friend's impact on your allergies with frequent baths and brushings to reduce loose hairs and aggravating proteins in your pet's dander. Use a damp cloth to wipe off your dog after you've been playing outside. Smaller dogs have less surface area, and so produce comparatively less dander than larger breeds — definitely something to keep in mind with a dog as large as a Standard Poodle! Remember that no breed is 100% hypoallergenic, and any breed can aggravate allergies. WHAT IS A STANDARD POODLE'S BEST DAY? A Standard Poodle's very best day is going to include a lot of activity. She'll like it best if you can take her to play in the water somewhere, and let her run around until she's run her fill. SHOULD I ADOPT A STANDARD POODLE? 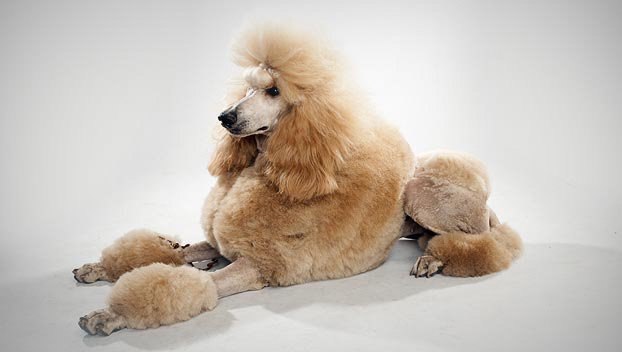 For all their posh appearance, Poodles can live just about anywhere. With enough exercise, they're well suited to apartment dwelling. They're equally comfortable in warm and cold environments. Admittedly, they do require some serious grooming. But there's a reason these dogs are so popular: they're playful, affectionate, and very, very smart. Train and treat a Poodle right, and she could be your perfect puffball pet. Have you decided that a Standard Poodle is the perfect dog for you? Why not be your new best friend's hero and adopt a rescue! Be sure to check out our article on what to expect when you're adopting a dog or cat.